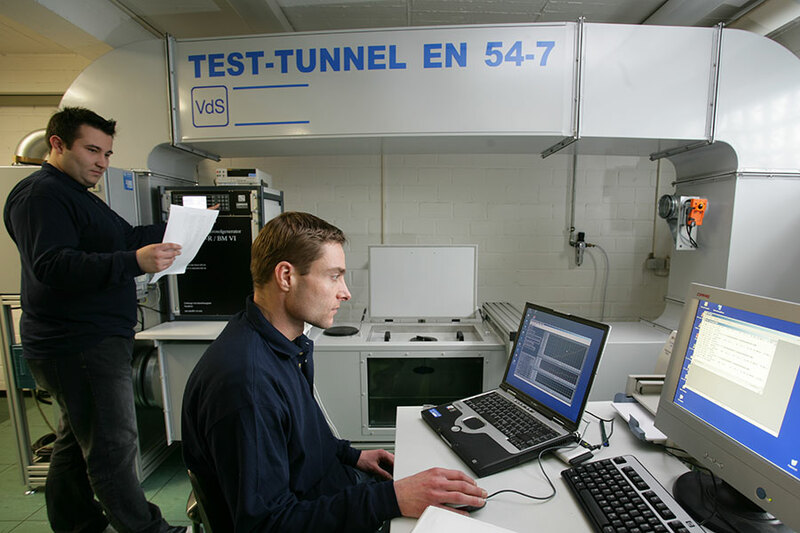 The VdS laboratories for fire alarm technology test the entire range of products used in fire alarm systems – from smoke alarms for private homes to complete fire alarm control centers, and from individual alarm components to the proper functioning and interaction of all devices within a fire alarm system in accordance with the relevant guidelines. 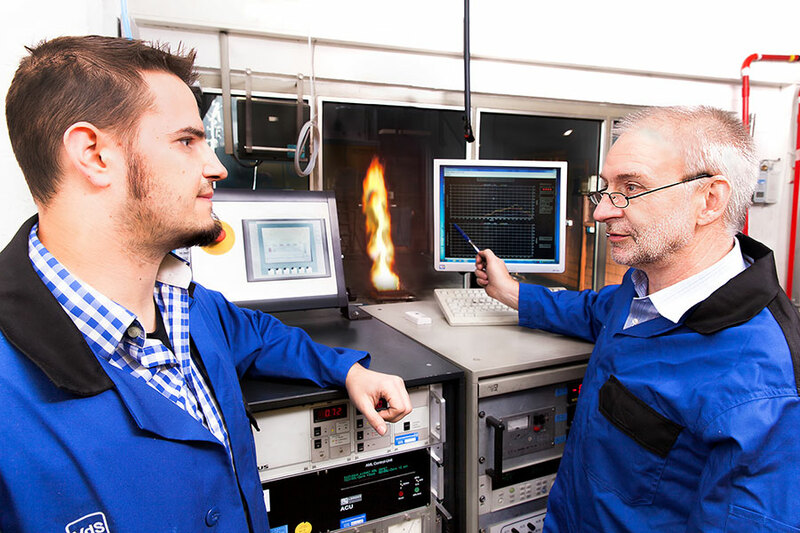 The VdS fire alarm technology laboratories, covering 1,500 m², are an institution unique in Europe. They offer ideal conditions for making safety measurable and documenting it clearly for your customers. 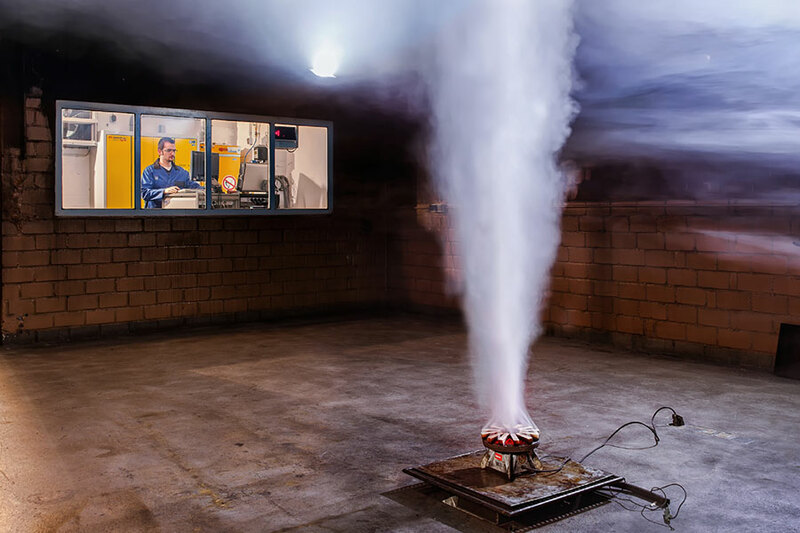 In our fire chamber, our experts assess the response of alarms to a large number of different types of fires ­under realistic conditions. 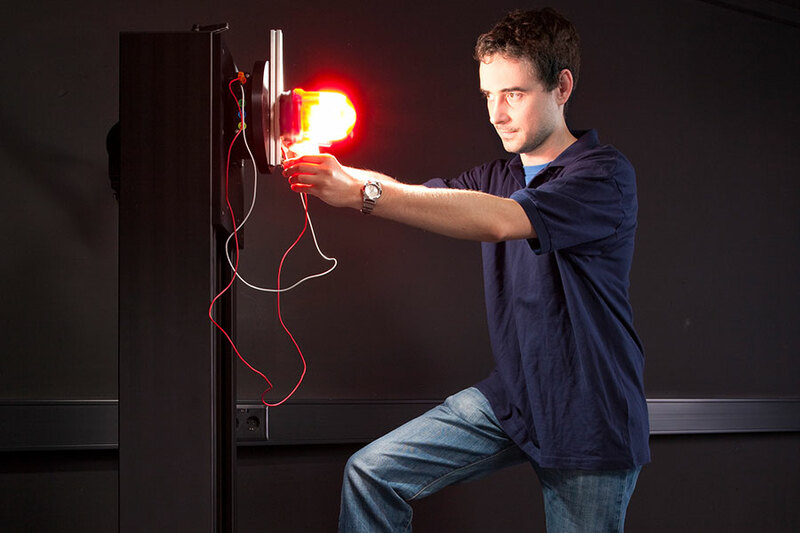 In the special ­laboratories for radio transmission technology as well as optics and acoustics, we focus on reliable alarms via wireless communication channels as well as the safe evacuation of people from danger zones via visual or audio signals. 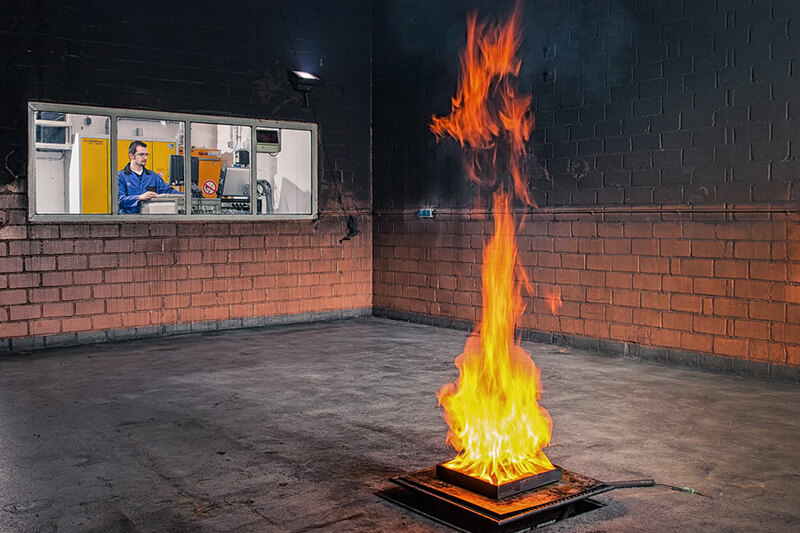 The ­consistently reliable, long-term functioning of your VdS-certified fire alarm system is guaranteed by means of various tests involving ­artificial aging. We determine the effect of defined heat or moisture, targeted ­impairment in corrosive atmospheres, or special impact and vibration tests.